Toyota Hiace is definitely a name everybody is familiar to. Toyota hiace is not only famous in Pakistan. It has huge brand equity all over the world. 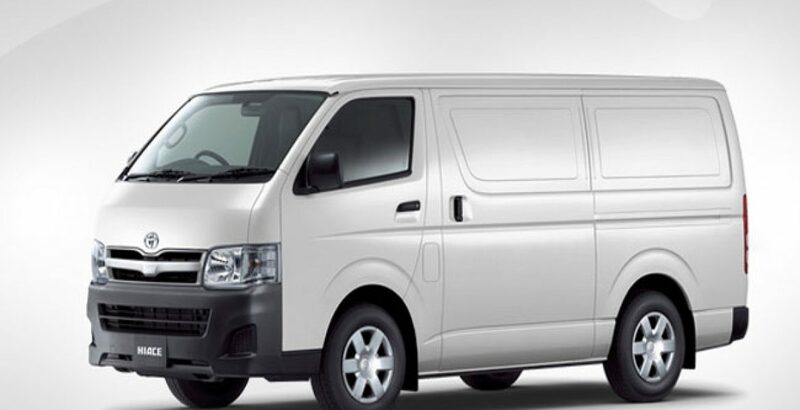 The brand equity of Toyota Hiace in Pakistan can be guessed by the fact that people call all the similar shaped vehicles “Hiace” whether they are Mazda, Mitsubishi or Hyundai. 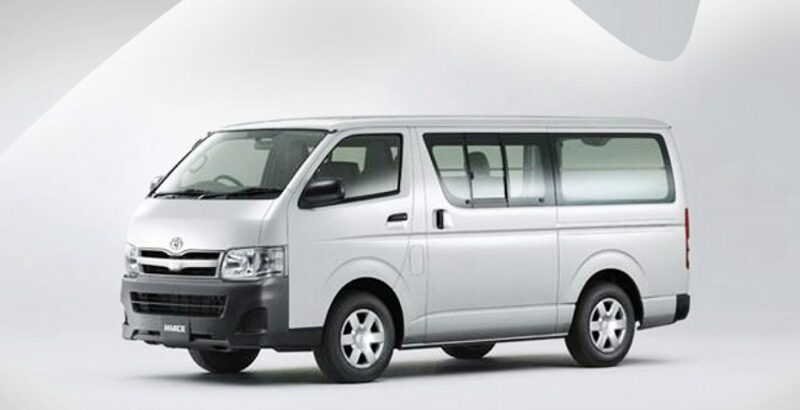 All new Toyota Hiace commuter bus is ready to carry on the legacy of the older versions. Today most of the local transport, ambulances, mass transport in many areas, police vans and cargo vans are Toyota Hiace in Pakistan. Its success can be associated to its durability and reliability. It is equally good in plains, plateaus and mountainous regions. 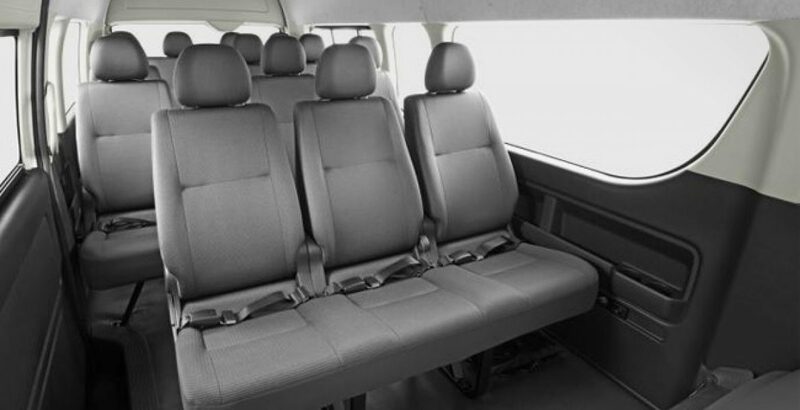 The New Toyota Hiace 2012 is a commuter bus with a sitting capacity of 14 passengers and is available in both petrol and diesel engines. Both petrol and diesel categories are further available with automatic or manual transmissions. It has a superb air conditioning system with rear air outlets making it more relaxing and soothing for the passengers who are sitting at the back. It has features like power steering, all wheel ABS brakes, electronically adjustable exterior side mirrors, fixed intermittent windscreen wipers, intermittent rear window wipers, front airbags, front and rear seatbelts, security alarm and a central door locking. 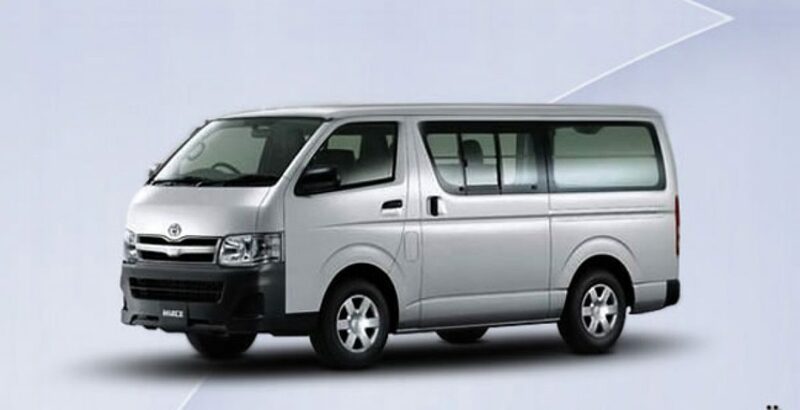 Toyota Hiace has a very good suspension which is necessary for the adventurous rides on rough surfaces and bad roads. As police vans and ambulances drivers get maximum performance out of these vehicles and they never disappoint. Rescue 1122 is a well renowned department in Pakistan that has opted for Toyota Hiace as their vehicles. The nature of their job is to fight against all odds in emergency situations depending up on their vehicles. Toyota Hiace is certainly not letting them down.